Wonderful new colorways are hitting the shelf. 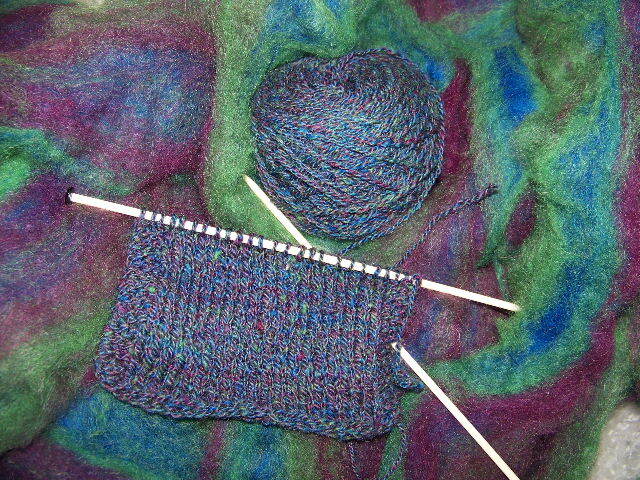 I am still doing small batches to see if the colors are really going to go together. 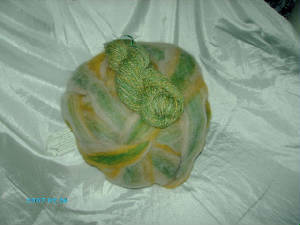 Most of the colored blends come back as about 4 pounds of finished roving. There are about 5 more batches in Frankenmuth, MI getting ready right now. Zeilinger's does a great job for us. A unique blend of corriedale wool and mohair hand dyed in Caramel, Burnt Orange, Mallard, and Spruce. 3 pounds of this wonderful color available. A warm and delightful blend of natural fiber. 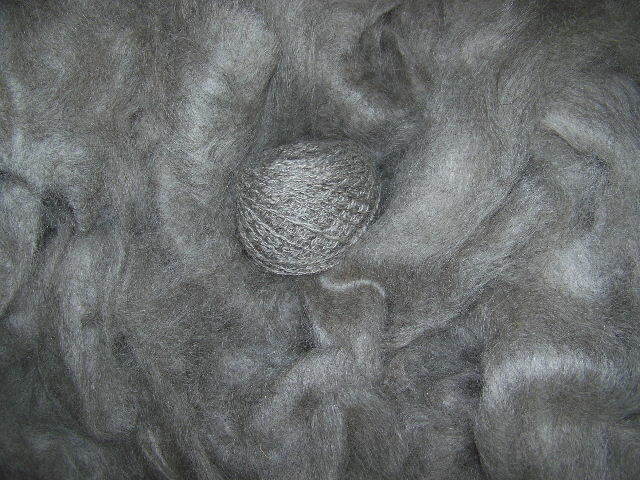 This gorgeous silver/gray is 50% Borderleicester and 50% mohair. It is very shiny and soft to the touch. 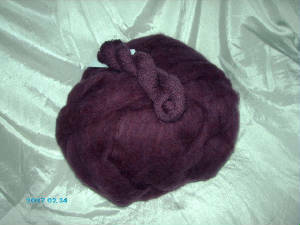 This 70/30 blend of corriedale wool and mohair has the deep look of a glass of good wine. 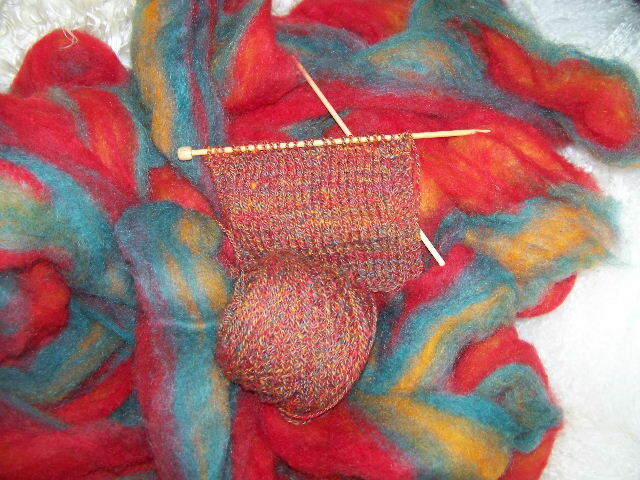 The one ounce sample spun 2 plys to about 115 yards. A refreshing splash of French Vanilla, Key Lime, and a secret ingredient quenches your fiber thirst. 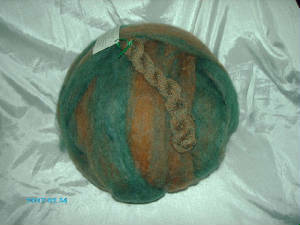 This 70/30 blend of corriedale wool and mohair spun a one ounce sample to 2 plys of approximately 115 yards. More color batches going to Zeilinger's this week for blending. Stop back soon to see the magic of technicolor! This site guarded by TECHNODOG!